Since the beginning, our commitment to excellence has driven our decision to ensure all our window fashions are designed and custom-assembled right here in the United States (please note that some Hunter Douglas Contract products are assembled outside the United States). Industry recognition for our highly innovative designs and quality products has come almost from the moment we opened out doors. Just one among many of our celebrated products: the highly energy-efficient Duette® honeycomb shades – invented in 1985, the first product of its kind – in response to the energy crisis of the late 1970s. The latest generation of honeycomb shades – the Duette® Architella™ Collection – offers even greater energy efficiency, thanks to their patented honeycomb-within-a-honeycomb construction. Along with the Duette family of window fashions, many of our other products contribute to energy savings at the window, including our popular Silhouette and Pirouette window shadings and Luminette® Privacy Sheers, to name just a few. 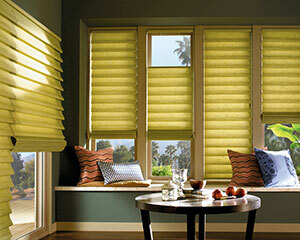 As evident from our history, we at The Drapery Guy believe window fashions must be more than stylish. 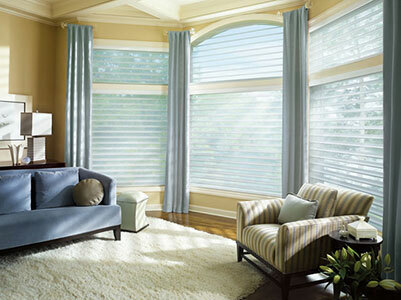 In addition to offering energy efficiency, window treatments should provide some privacy and light control. 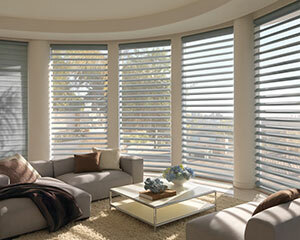 They should help protect your furnishings from damaging UV rays. Our products even absorb sounds, helping to improve the acoustics in a room. We also believe that what makes us truly special are the many experienced Hunter Douglas Gallery Dealers around the country. Walk into a Hunter Douglas Gallery Dealer’s showroom and you’ll have access to beautiful product displays, hundreds of swatch samples, and expert guidance to help ensure you’re getting exactly what you want and need. The Drapery Guy also offer product and design advice and configure your custom order to your specifications. In addition, you’ll benefit from our free in-home consultation and exceptional customer service centers – all maintained at locations right here in the United States. We combine superior products designed and custom-assembled in the U.S. with exceptional customer service (please note that some Hunter Douglas Contract products are assembled outside the U.S.). That’s truly the Hunter Douglas advantage. 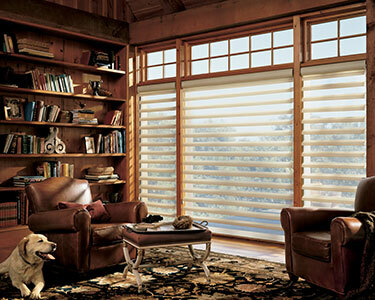 For the best Hunter Douglas Gallery Dealer in the Conejo Valley, stop by The Drapery Guy in Westlake Village today!